Dynamic Host Configuration Protocol, DHCP is a LAN networking protocol, and it use UDP protocol to work. Its two main usages are: a) distribute IP address for LAN computers, b) centralized management for all computers. Take MS DHCP service of Windows 2008 R2 operating system as example. Right-click "Computer" - > "Manage". 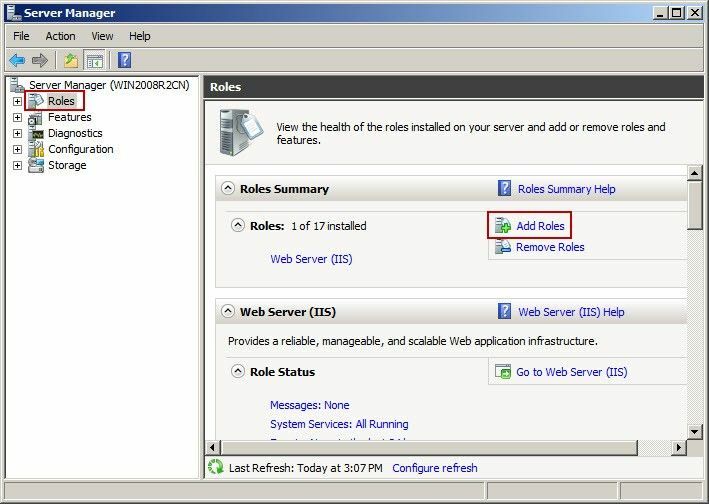 1) In the popup "Server Manager" dialog box, click the "Roles", and then click "Add Roles" on the right (Figure 1‑1). 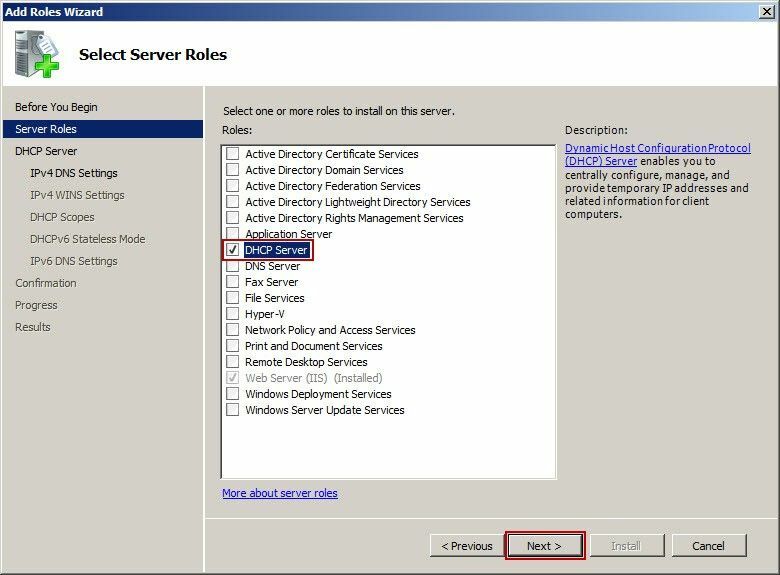 2) In the popup "Select Server Roles" dialog box, select the "DHCP Server" check box and then click "Next" button (Figure 1‑2). 3) "Specify IPv4 DNS Server Settings" dialog box will pop up, and then type the corresponding domain name (such as test.com) in the "Parent domain" edit box. 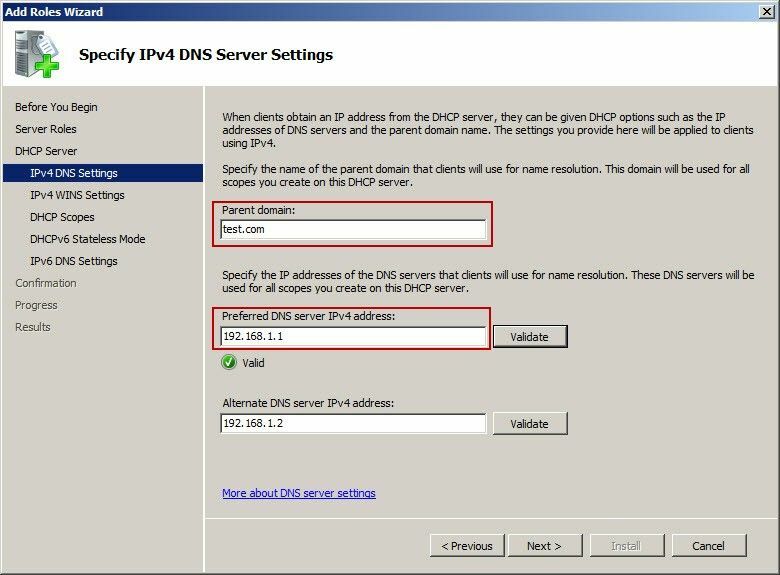 Type the DNS address in the "Preferred DNS server IPv4address" edit box, and then click "Next" button (Figure 1‑3). 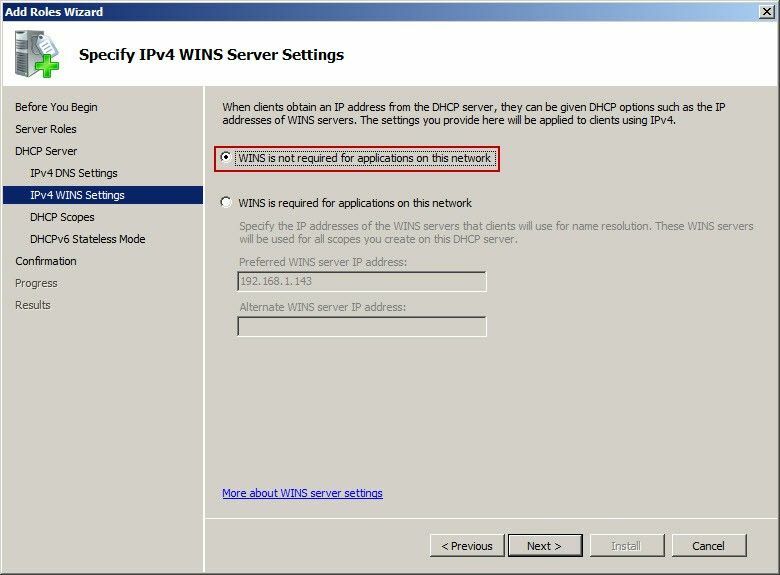 4) "Specify IPv4 DNS Server Settings" dialog box will pop up, and select the "Wins is not required for applications on this network" radio button, then click "Next" button (Figure 1‑4). 5) Click the "Add" button in the popup "Add or DHCP Scopes" dialog box, and then it will pop up "Add Scope" dialog box, input relevant information, and click "OK" button (Figure 1‑5). 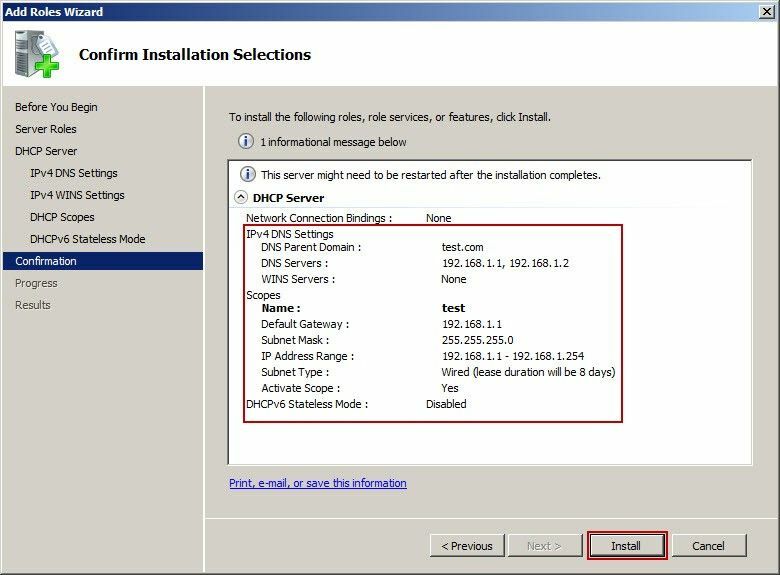 6) Click the "Install" button in the popup dialog box of "Confirm Installation Selections" (Figure 1‑6). 7) Installation process (Figure 1‑7). 8) After the installation is finished, restart the server.